People often confuse managing dog behavior and dog training. While both are important and are often used together, they are two different things. Dog training involves teaching your dog something. This can be as simple as working on basic commands, or something more difficult like navigating an agility course. The most important part of dog training is that your dog is learning to do something or to stop doing something. There is an almost endless list of things we can train a dog to do. The one thing all of these have in common is that the dog is learning something new. Dog behavior management differs from dog training in that the dog is not learning anything. Instead, we are controlling things in the dog's environment to prevent certain behaviors. For example, we may never train a dog to overcome a fear of thunder. We can, however, do certain things to manage the dog's fear, such as administering a sedative or providing a safe place for your dog to hide during thunderstorms. You're not training a dog to behave a certain way, but rather managing the dog's reaction to the thunder. In all of these instances, the dog is not learning anything. The food aggressive dog isn't going to stop growling over his food bowl after he's eaten in his crate for several days in a row. And the dog who is easy to walk while on the Gentle Leader isn't going to start heeling perfectly at your side when he's on a regular collar. While dog behavior management and dog training are two different things, they are not mutually exclusive. Behavior management is an important part of any dog training program. Let's consider the dog who is afraid of thunder again. It is possible to train some dogs to stop being afraid of thunder. Usually, the amount of time this takes depends on the severity of the fear. In the meantime, you need a way to manage your dog's fear during thunderstorms until the phobia is gone. There are a number of tools you can use, such as a sedative or a DAP collar, to manage the dog's behavior until the training is complete. 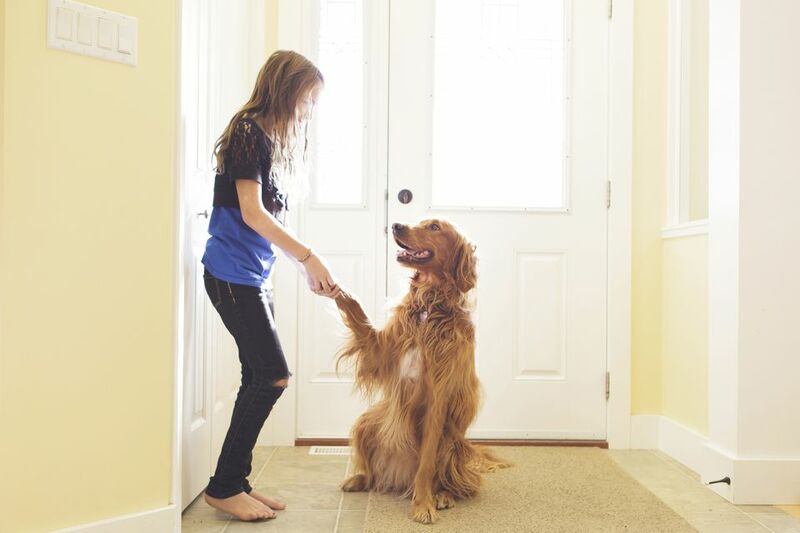 Dog behavior management is an important tool in preventing unwanted behaviors until your dog is trained to behave differently.